Viking Children's Books, 9780670011773, 186pp. 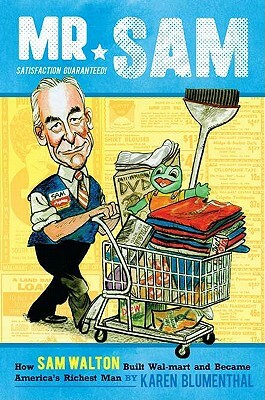 Sam Walton grew up to become the founder of Wal-Mart, but he was born with practically nothing except a compulsive drive to win - at football, at becoming class president, at beating everyone no matter what the game. His eventual empire started as nothing more than a dingy one-room general store. He created Wal-Mart - and his massive wealth - one building at a time, one town at a time. This is not a history of his company, but the biography of an uncomplicated man who just wanted to beat the guy down the street. More than forty black-and-white photos illustrate the text. Karen Blumenthal is a former "Wall Street Journal" bureau chief and the author of "Let Me Play: The Story of Title IX." She lives with her family in Dallas, Texas.